Edible School Gardens Leonie is an author and educator that has built dozen of Edible School Gardens over the years and has been an influence on children and their new healthy eating habits. Leonie now shares her secrets in empowering school children to design and build their own organic vegetable gardens and all the process involved to create a sustainable living garden. Read more about the Edible School Gardens DVD. 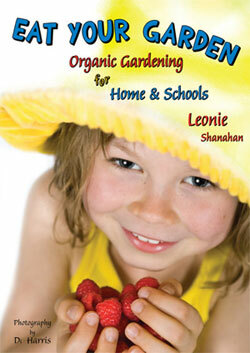 This book is a feast of edible gardening ideas compiled by Leonie’s wealth of experience teaching organic gardening to school children over 10 years. Easy to follow instructions, stunning photos to support the information and all facets of organic garden recorded in one book. Read more about the Eat Your Garden Book. 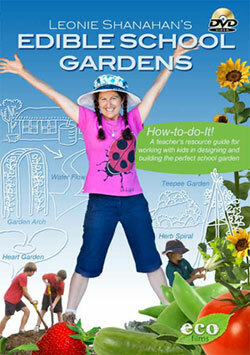 For bulk orders (40+ books) contact Leonie@EdibleSchoolGardens.com.au for special pricing.